The Indiana Economic Development Board approved the incentive package Tuesday, nearly four months after Trump celebrated the deal at the furnace factory. 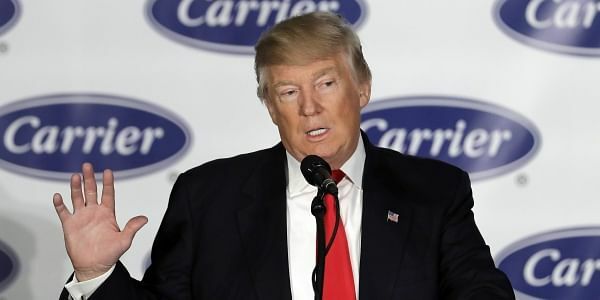 INDIANAPOLIS: An Indiana board has endorsed directing $7 million in state tax breaks and grants for a deal brokered by President Donald Trump toward stemming job losses from a Carrier Corp. factory in Indianapolis to Mexico. Carrier is pledging to keep nearly 1,100 jobs in Indianapolis, including some 800 production jobs it planned to cut with the outsourcing. But about 550 jobs are still being lost. Carrier is also investing $16 million for automation. The company's CEO has said that will ultimately mean fewer jobs at the factory. Full details of the deal won't be public until after a review by the State Budget Committee.